This statistic shows the results of a survey conducted in the United States in February 2017. U.S. adults who took opioids in the preceding 12 months were asked if the opioids they took were prescribed or not. 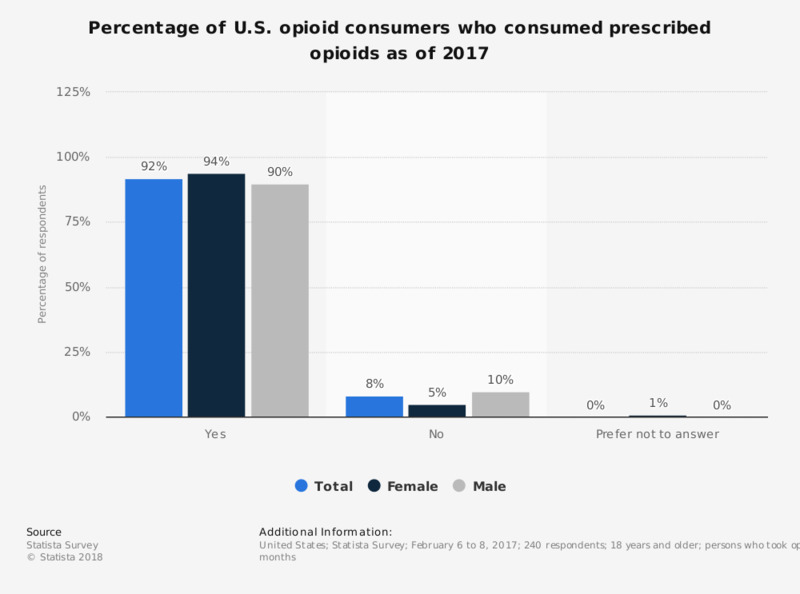 In total, 92 percent of respondents stated that the opioids they had consumed in the last two years were prescribed. Original question: "Did you take any opioids during the last 2 years?"